Administered by the Finzi Charitable Trust and first awarded in 2005, the Finzi Scholarships seek to recognise and perpetuate the philosophical, creative and enabling breadth of vision of the English composer Gerald Finzi (1901-56) and his wife, the artist and poet Joy (1907-91), who throughout their lives provided unstinting support and encouragement to artists, writers and musicians of all ages and levels of accomplishment. The Scholarships aim to give opportunities for broadening horizons or taking a new path: their focus is arts based in the widest sense, but proposals must have a musical foundation. Projects might show a creative initiative or could involve engaging in some practical experience, education or research, perhaps giving a personal change of direction. Applications are welcome from trained musicians, but equally, previous professional experience is not a pre-requisite. The Trust anticipates awarding grants for projects within the UK or overseas lasting, on average, between 3 and 8 weeks. Projects can be home-based but if a project involves travel, then these expenses are met together with costs of accommodation and subsistence (and where appropriate, disability allowance) for the period involved. Costs of equipment and allowance for lost income are not normally covered. Grants previously awarded have ranged from £2000 to £5000. Projects are assessed not only on their strength of vision but also on their realism and practicality. Decisions are within the sole discretion of the Trustees and grants will be made on the terms set out in the application pack. Any Scholarship must be taken up within one year of the offer being made. Individuals are entirely responsible for their project, its planning, administration and the way in which it is undertaken. The Trust does not assume any responsibility for anything that might arise in the course of the Scholarship or the participants' activities. The Scholarship will include, where applicable the reasonable cost of insurance which successful applicants must take out to cover all relevant risks. Finzi Scholarships are not awarded for attendance at courses, for the support of academic degree courses, or for the provision of student grants. Group applications are not considered. The Trust will not ordinarily make a further award to an individual who has previously been awarded either a Finzi Scholarship or a Churchill Finzi Fellowship. Scholarships awarded in recent years have covered studies in Canada, Estonia, Finland, France, Germany, India, Ireland, Italy, South America, Sweden, the UK and the USA. Candidates should be aged between 18 and 80 and resident in the UK at the time of application. Formal qualifications are not necessary, but applicants are expected to demonstrate that they will be able to implement their proposals effectively. • Or as a download here. You can find a copy of the Terms & Conditions here. In the application, you will have the opportunity to give an outline of your proposal, together with a broad estimate of the cost; detailed itineraries and budgets are not required at this first stage. The closing date for 2017 applications is 12 November 2016. Interviews for shortlisted applications will be held in London on Saturday 21 January 2017. The Gerald Finzi Charitable Trust has now completed its ninth series of scholarship awards. Please follow this link for the Finzi Scholarship award reports. Andrew Garvey: Manchester, An exploration of Malinke Balafon, France. Sadie Harrison: Dorset, composer; composition: Songs for a Nightingale – for the Afghanistan National Youth Orchestra. Fiona Mackenzie: Scotland, Coimgas – Contrast (research into folklorist Margaret Fay Shaw), Dear Canada. Liam Maloney: York, House Music: creating a secular Christianity for the Gay Diaspora, USA. Tatty Theo: London, musician: William Pleeth – the early years, Germany. Christopher Barr: Music Learning Producer, Engaging the local community with an international concert hall, Australia, USA. Anna Williams: Teacher/Programme Co-ordinator, Musical Futures in Australian Primary Schools: lessons for the UK, Australia. Sara Ascenso: London, musician/pyschologist; Beyond Bars: Exploring Musicians’ Experiences of Bringing Music to Prisons, USA. Kate Honey: Cambridge, composer/teacher; Composition of Climate Change Cantata, Finland. William Lenton: Yorkshire, musician/band leader; Second lining in New Orleans, USA. Alec Roth: Worcestershire, composer; A Bach Pilgrimage to inspire new work, Germany. Belinda Williams: London, singer; Role preparation with a Rossini specialist, Italy. Jennifer Adams: Musician and director; Orchestra Education, a European Approach. Steven Legge: Teacher; Study of the American Wind Band Education Model. Helen Sanderson: Teacher and director; UK Guitar Foundation: online network and resource for teachers. Martin Lamb: Singer/actor/director; Preparing and performing Wagner in Germany. Philip Lancaster: Singer/musicologist; The Passion of War, a chamber oratorio. 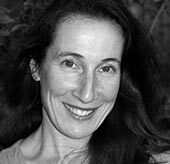 Nicola Wydenbach: Singer/teacher/animateur; Awakening your voice – Parkinson’s and singing. Tina Lee: Director & performer; Music in the Community, an exploration of the infinite uses of music, Bosnia & Herzegovina, India. Alison Mackenzie: Teacher; Nurturing and developing traditional music in Canada. Ailie Reid: Singer and singing teacher; Compare Dalcroze, Kodaly, Suzuki: best methods for dyslexic singers. Otis Carr: Dancer; Making the transition from professional dancer to professional countertenor. Helen Dixon: music teacher: Musical Heirlooms. Al Summers: Music tutor and composer; Schoenberg’s Creative Teaching Methods. Christopher Cook: Music Technology Tutor: Study of North Indian Classical Music. Sarah Weiler: Teacher Training and Support: Researching authentic Hispanic cultural experiences for schools. Holly Marland: Manchester, Knowledge Exchange Manager, RNCM; the Art of the Kora, Gambia. Ailis Ni Riain: Yorkshire, composer & ACE Music Officer: Research visits to the former Yugoslav Republic. Jane Rogoyska: writer/film-maker; Polish Music 1938-48, Poland. Madeleine Holmes: London, Singer; In search of the Italian 20th century song. John Madden: Oxford, teacher; Mali and Hay on Wye, a musical interaction. Luisa Rosina: London, teacher; El Sistema, Social action for music in Venezuela. Merit Stephanos: London, animateur/teacher; Early Classical and Christian chant in the Arab world. Sian Jones: creative performance project, “Lily - My Debussy”. Daniela Rosselson: spiritual song from the Matanzas region; Cuba. Anneke Scott: Jacque-Francois Gallay – A practical exploration of the Douze Grands Caprices; France. Callum Thomson: Broadening the reach of music: the US perspective; USA. Patricia Vella-Burrows: The Use of Music in Dementia Care. Kate Wakeling: Studying Carnatic Flute and Bharatanatyam Dance in Chennai. Katrina Waters: Singing Strauss in the German Operatic House Style. Lucy Forde: London, Animateur/Flautist; Indian Music, Cross Cultural Collaboration and Creative Approaches to Music Making; India. Rolf Jordan: Irby, Artist/Designer; A Portrait of J Campbell McInnes; Canada. 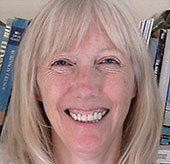 Helen Porter: Gillingham, Dorset, Composer/Singer; The Venetian Interludes; Italy. Jo-Anne Scanlan: Swindon, Dancer/Choreographer; Connecting with Jazz: exploring tap as a percussive art form; USA. 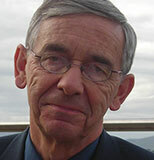 Gordon Cox: Reading, Senior Lecturer; Richard Slater, Father of Salvation Army Music: A Biographical Study; UK. Bridget Cunningham: London, Harpsichordist; Research and performance of Early Irish Music; Ireland. 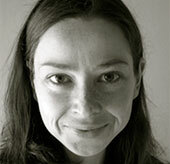 Sarah Field: London, Saxophonist/Trumpeter; Indian Odyssey: The Breath, The Life, The Music; India. Gregory Martin: Oxford, Scholar; The Intersection of Language, Landscape and Music, in Early 20th Century England; UK. 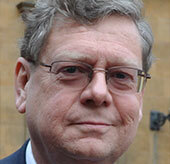 Julian Perkins: London, Organist/Conductor; Organ Pilgrimage to Germany and The Netherlands; Germany, Netherlands. Micaela Schmitz: Broadway, Scholar; 18th Century English and Scottish Songs; UK. Jill Anderson: London, Broadcaster/Musician/Teacher; Klezmer, Then and Now; USA. Mark Eden: Winchester, Classical Guitarist; Music for an Island – creating visual images of locations inspiring compositions; UK. Dan Gresson: London, Percussionist; Brazilian Percussion Traditions; Brazil. Elizabeth Tingle: Northampton, Senior Lecturer in History; Chantries and the Liturgy for the Dead in Brittany, 1500-1720; France. Nigel Hildreth: Colchester, Teacher; Study of Folk Traditions; Sweden and Estonia. 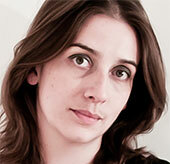 Sarah Moule: London, Writer/Singer; Learning to sing with Italian style; Italy. 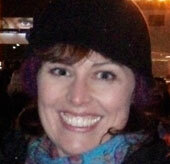 Hilary Phillips: Glasgow, Teacher; Colourstrings – a new direction in teaching from Finland to the UK; Finland. Svetlana Zvereva: Milngavie, Scholar; Alfred J Swan: A Life in Music Seen Through his Archive; USA.